The economy isn't standing still. For your business to succeed, your employees shouldn't either. With your network infrastructure as a strong pair of legs, the right combination of a seamless user experience and a secure workspace will give users -- and your organization -- the ability to move forward with mobility. This eBook relays the importance of unifying your infrastructure to deliver apps effectively across multiple devices. 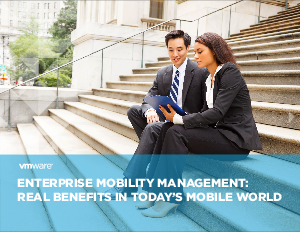 Learn how to stay on top of security and consistency with enterprise mobility management.